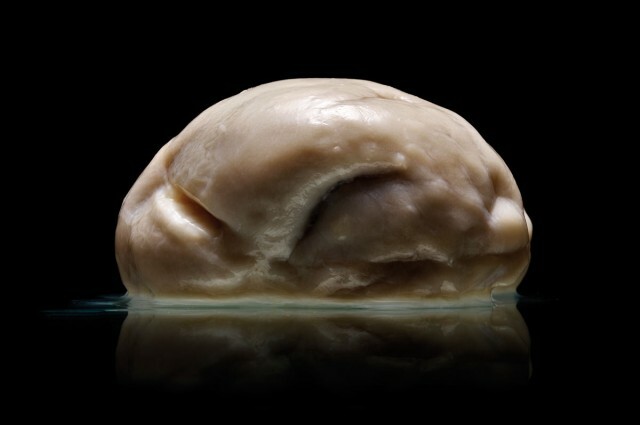 While photographing shelves of human brains stored away in a closet at the University of Texas for his next book, Adam Voorhes happened upon a truly unique find: a brain with no folds. The lack of grooves (sulci) and folds (gyri) that characterize a human brain are due to a rare condition called lissencephaly. The disorder is caused by abnormal neuronal migration during embryonic development. To learn more about this rare find, Voorhes spent over a year trying to hunt down the details of this and the approximately 100 other human brains in the collection. He sifted through a century’s worth of documents and found a history rife with battle for ownership of the collection. However, nothing about the specific individual came to light. People with similar though less extensive forms of lissencephaly often experience difficulty swallowing, muscle spasms, seizures, and learning difficulties. Many individuals with this condition die before the age of 10. 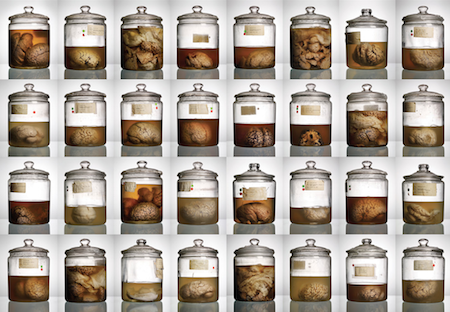 All the brains of the collection are from patients at the Austin State Mental Hospital and were subsequently preserved in jars of formaldehyde. For more than 20 years, the brains were forgotten about in a dark closet somewhere in the back of an animal lab. 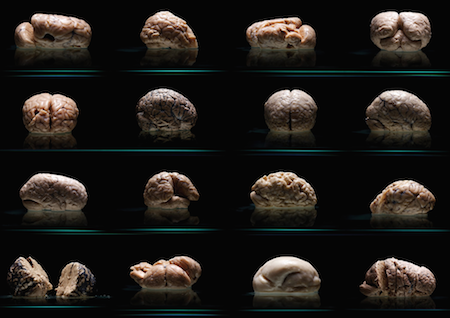 While all the rediscovered brains are considered disfigured or abnormal in some way, a brain with so few folds and groups is a rarity amongst the rare. Currently, the University of Texas is working on documenting the brains in more detail with an MRI scanner. Upon conclusion, the brains will be put on display at the Imaging Research Center on campus. Model Has 6 Ribs Removed To Have The World’s Smallest Waist!